10U speed and agility classes are a great way for any young athlete to learn new skills and start out sports one step ahead of all the other kids. We work on the basics in the warm-up and progress the training session with intricate speed work and drills designed to elicit proper running technique and running form. 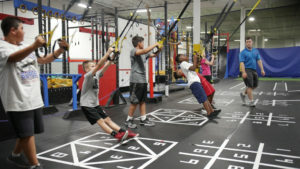 We also do strength training designed for kids focusing on body weight exercises and core strength. To top it off we play competitive games, which the kids love!